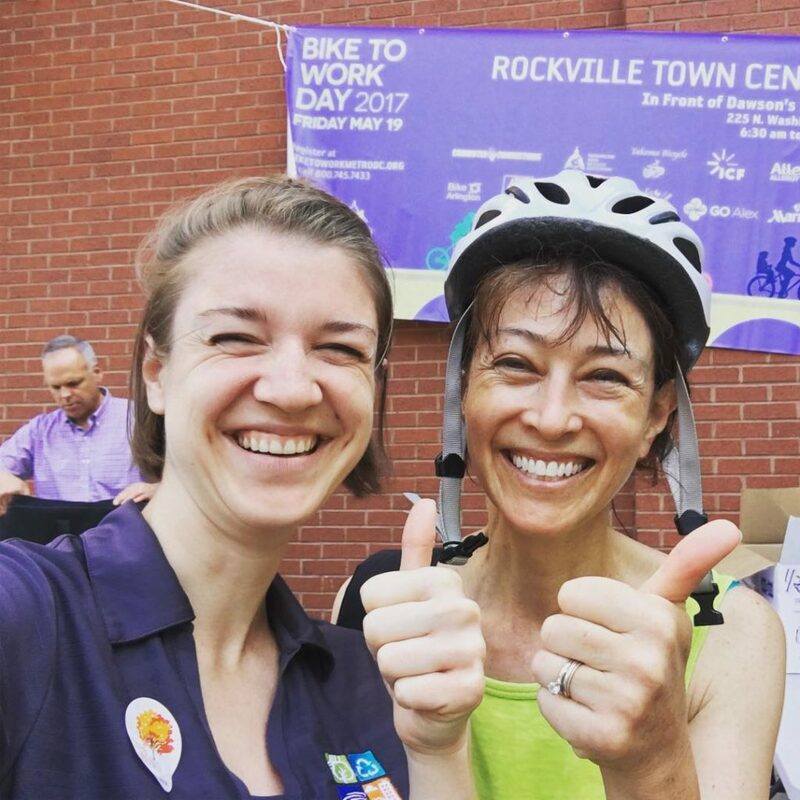 Earlier this month, Montgomery County Executive Ike Leggett announced two new biking opportunities for Silver Spring: the completion of the first protected bike lane in downtown Silver Spring AND a new bikesharing option, MoBike. A striped buffer with flexposts separates the new bike lanes from motor vehicle traffic. The buffer varies in width from 2ft to 8ft. Along most of the lane, on-street parking forms a barrier between the buffer and the travel lane. Pedestrian improvements include a shortened Spring Street crossing at Woodland Drive. The project includes bike boxes and two-stage queue boxes. These boxes allow bicyclists to make left turns at multi-lane intersections from the right-side separated bike lane. “We know that when we make biking safer by adding protected bike lanes, more people of all skill levels, young and old, will choose to bike,” said County Council Vice President Hans Riemer. 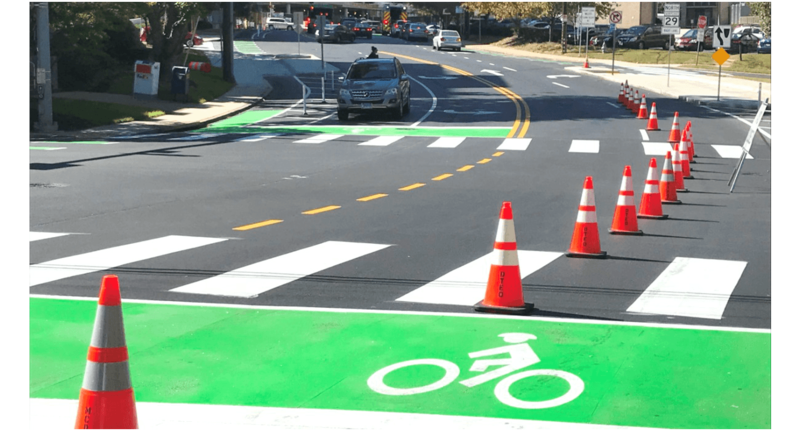 The County Department of Transportation (MCDOT) built the protected bike lanes as part of a plan to create a network of low-stress biking infrastructure throughout the downtown area. The next step in building this network may include protected bike lanes on Wayne Avenue and Cameron Street. Mo-re Bike Share Options Too! 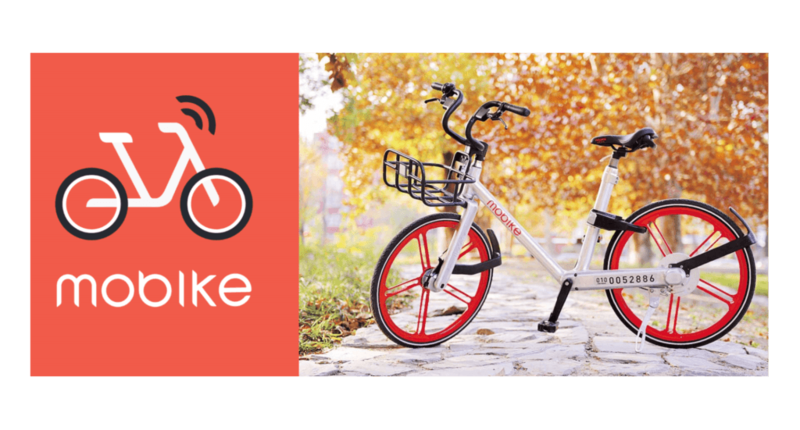 The County Executive also announced an operating agreement with Mobike, making the County the first suburban jurisdiction in the U.S. to adopt this dockless bike share system. Mobike is the largest bike-sharing platform in the world. This month, these dockless bikes will be available in Silver Spring via a smartphone app. The County’s agreement with Mobike is a pilot project to test the concept of dockless bikes in Silver Spring. MCDOT is committed to working with businesses and residential communities to ensure a successful demonstration project. To use Mobike, individuals will be able to download the app to register and locate a nearby bike, then unlock it by scanning the QR code. Once at their destination, the bicyclist can park the bike in an approved area and lock it, making it available for the next user. These bikes are powered by unique high-tech features including smart-lock technology, non-puncture airless tires, bike status sensors and built-in GPS locators.